PERMACULTURE GARDENING IS DIFFERENT THAT REGULAR OR ORGANIC GARDENING! 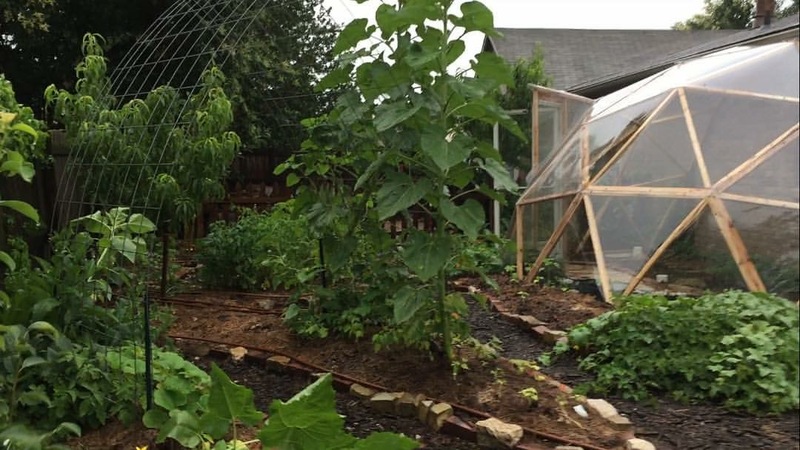 Permaculture gardening puts an emphasis on working with nature. We design ecosystems that let nature (the real pros) do the work for us. Get rid of pesticides, artificial fertilizers, and of course the worst of the worst herbicides, and learn how to work with nature to grow abundance while at the same time regenerating soil and benefiting creation. Our current society doesn’t put an emphasis on creating your own resources and growing our own food. Which is ironic since we will be eating pretty much every day for the rest of our lives! Some people have said this has even made them feel useless. Don’t worry you are not useless! We are here to help. Guided by highly experienced gardener Anita Mills and Nicholas Burtner, our TWO DAY COURSE gives you the “near forgotten” skills and the HANDS ON experience that work with nature to make up the cyclical series of events we call permaculture gardening. Everything taught has been tested and known to work very well. Plus all the other information that tends to exude out in class which not mentioned above. This is a great opportunity, to not only learn these skills and whole systems design, it will also reduce your grocery bill and get you on track to provide self sustainability. Not to mention it’s a great way to meet others in the Dallas area sustainability and permaculture community. A pair of gardening gloves and shovel are highly recommended for day 2, but not required. Come join us this Spring! School of Permaculture is a non profit educational organization which focuses on the education of individuals and groups to re-learn how to work and harmonize with natural systems for every day living needs (housing, food, clean water, community, etc…). We achieve this through combining sustainable ancient wisdom, appropriate technology, and by providing training through courses, consultations, and aid work. Sustainably regenerative farming, suburban, urban, and village projects are showcased, so no matter what your walk in life is, a design that propels you to freedom can be achieved. School of Permaculture is also a ministry which, being Christ centered, has Jesus at the heart of our organization. All walks of faith, people, and organizations, christian or other, are welcome as we stay true to our calling which is to love and help as many people as we can, regardless of their walk. Most people say that permaculture courses change their life. We would be honored to set the mental framework and offer hands on experience which will empower you to do the same.